So, feathers are my jam. I love to find them and usually take home whatever ones I find. Often they arrive after conversations I have with my guides and angels. Yesterday I found these two. The white one was on my window sill when I woke up and the smaller one I found in my hair and got to play with it in the air for a few minutes before putting it in my pocket. 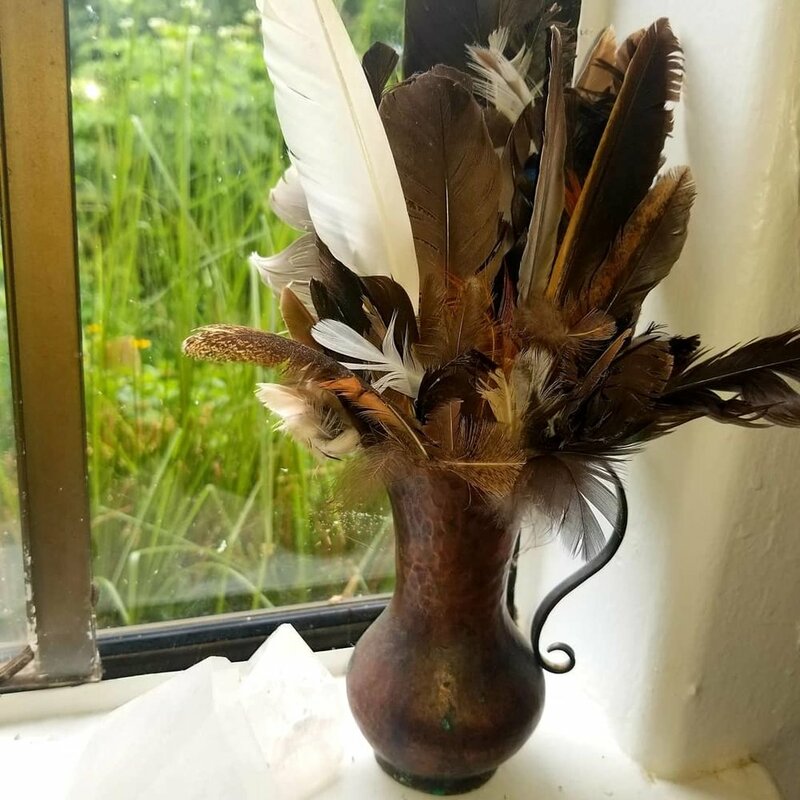 Even intuitives and healers like me enjoy finding feathers as confirmation of Divine support in the physical. They are so light and fluffy. Yes, they do come from the wings of angels. Even if they didn't, they're still fun and make me light up. The white ones I always find indoors and given that no birds live inside with me, it's often to give more proof of support and confirmation of something I'm excited about or have asked for confirmation of. Do you collect feathers? Would love to see pics of your feathers you find.